Who doesn't love an edible centerpiece? It serves two purposes: to look beautiful and satisfy your taste buds. This mini cupcake tree from teaspoonsf is exactly that. 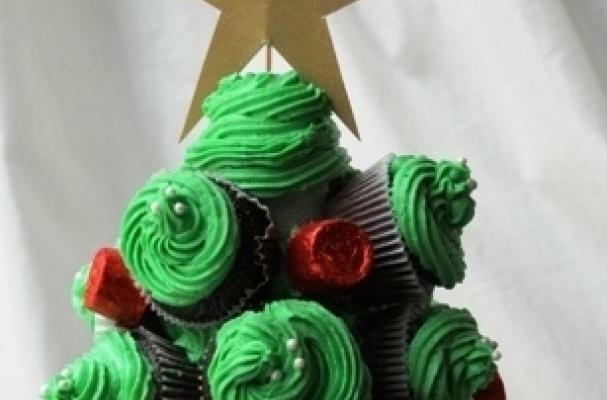 Mini cupcakes are decorated with green buttercream frosting and are attached to a Styrofoam cone that mimics the shape of a Christmas tree. Red and gold wrapped Rolos resemble colorful ornaments on the tree. This is an easy holiday centerpiece that will impress anyone who lays eyes on it. For recipe directions, click here.